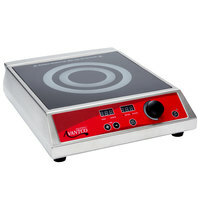 Works with pans with a bottom diameter of up to 10 1/4"
The Vollrath Mirage Pro 59500P countertop induction range cooker operates with impressive power and efficiency. With induction technology, this mobile range from Vollrath offers cool, efficient, and safe cooking while eliminating the need for an open flame. This, along with its sleek design, make it perfect for front-of-house use, whether for a made-to-order omelet station or for an exciting demonstration. It even boasts exceptional temperature control and features the widest temperature range in the industry. 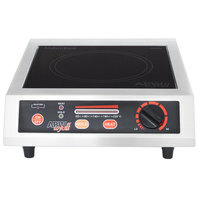 Attractive, efficient, and easy to operate, this induction range is unrivaled in overall performance and versatility. 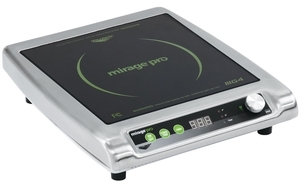 "The Vollrath mirage pro is an exceptional cooking tool. The 100 levels of power and 5 degree increments of temperature control allow me to cook with the sort of precision that an electric (or even gas) burner just can't come close to. It is sturdy, works well, and boils water wonderfully…"
The Vollrath Mirage Pro boasts an impressive 90% efficiency rating, which keeps the surrounding area cool and energy costs low. 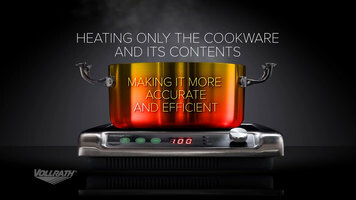 It does this by creating friction between the cooking surface and the bottom of an induction-ready pot or pan. This energy is transferred to the cookware and product, unlike other cooking technology where energy escapes into the air. 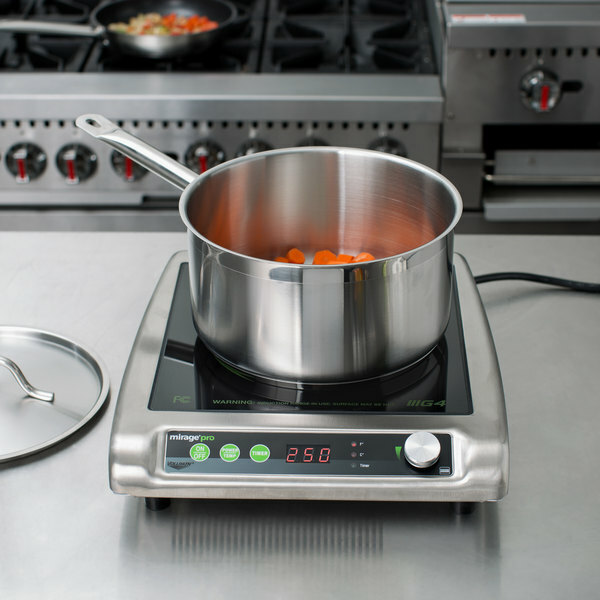 The range works with induction-ready pots and pans with a bottom diameter of up to 10 1/4". 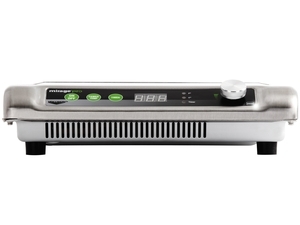 This unit features a cutting-edge dial control with 100 precise temperature settings. These settings range from 80 to 400 degree Fahrenheit, giving plenty of flexibility for a wide variety of cooking applications. Since it can reach below 90 degree Fahrenheit, it can even temper chocolate, perfect for bakeries and confectioneries! Plus, with a unique G4 engine, the unit features four switches to power the unit instead of just one, increasing durability and maximizing operator control. Unlike competing ranges, this range is built with an extra-quiet fan to reduce the noise of operation. It's perfect for front-of-house applications, as it won't disturb your patrons. A convenient 180 minute timer function helps keep track of cooking times, while a bright LED digital readout is easy to see while monitoring the cooking process. Ideal for front-of-house applications, this compact range features a sleek, low-profile case that provides a more natural cooking height. Plus, the case is made of 18 gauge stainless steel with a 360 degree design, making the unit attractive on both the operator and customer sides. The cooking surface is even made of durable ceramic for longevity. No matter how you turn it, the unit lends a long-lasting, stylish appeal to your cooking area. 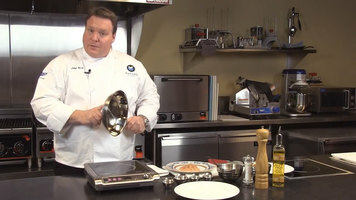 This video will help you learn the main differences between Vollrath's Mirage Pro and Mirage Cadet induction cookers. Basic functions and features are also covered. Richard: Welcome to Vollrath University, Vollrath's education center for the food service industry. My name is Richard Rupp and today I have with me, John Wojcik, the director of equipment marketing here at Vollrath. 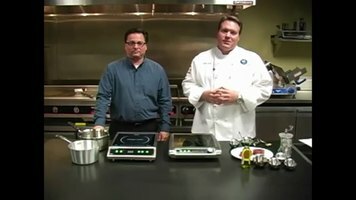 Today we're going to talk about induction cooking, and we have two models that John will talk to you a little about the features and benefits, and a little later we'll show you some uses for these two models. John: Hello. Today we'll be talking about new products from Vollrath, the new Mirage Pro and the new Mirage Cadet. 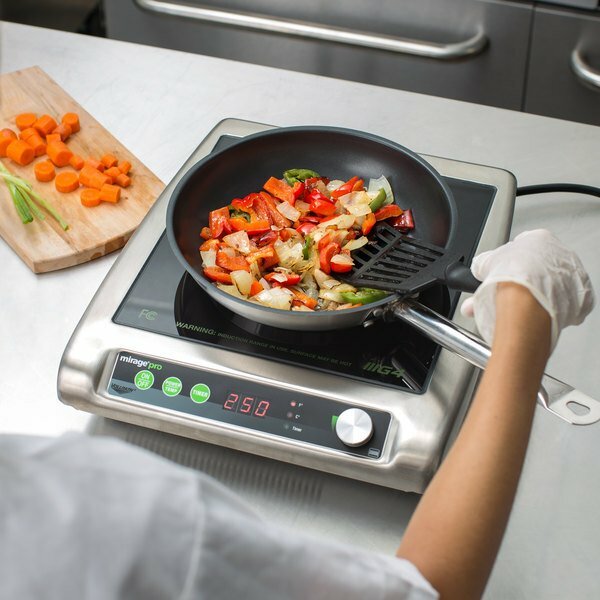 At Vollrath we feature in-house design, in-house development, and in-house manufacturing, which ensures the highest quality products in the induction industry. In addition, we partner with top customers, top chefs, and top culinary schools to put together the proper specs to make this a practical food service piece of equipment. Let me tell you about the new Mirage Pro. The new Mirage Pro features the new G4 engine. The G4 engine has four IGBTs or four switches which gives it incredible temperature control and incredible durability, so durable that there's a two year warranty on this product. The way that the unit works is you turn the unit on. The display will say, add pan. So you would add an induction-ready pan to it, it'll sense the pan and then you'll actually see a value. This value is the temperature which is 80 degrees Fahrenheit. We've increased the range to the lower range of 80 degrees for tempering chocolate or for actually keeping chocolate warm. It also has a timer that you can actually very quickly turn the temperature up or down, a rotary timer with indents so that it actually is a very high quality feel and it's easy to turn quickly. When you take the pan off, it'll say, add pan again. A unique new feature to this is if you have a non-induction ready pan, which is an aluminum pan, place the pan on the unit and it'll immediately say, bad pan, indicating that this is not an induction-ready unit. So some nice new features for the new Mirage Pro, including the new G4 engine with a two year warranty. Now let's talk about the new Mirage Cadet. The Mirage Cadet has a new G1 engine, which has one IGBT. It's a more limited feature item than the Mirage Pro. You actually have, if you turn the unit on, you have 20 settings versus 100. You don't have a rotary knob. You basically have up, down, push button control. So this is going to be used for more limited menu items, like an omelet station. Something that doesn't require all the cooking techniques of the Mirage Pro. Great product. This is a work horse and as our company has been in business for one month I am now adding a second unit. Solid piece of equipment. We have been using ours for almost three years without a single issue. Has a larger area that heats the pan than some of the other low- to mid-tier models which is nice. Used daily to make sauces and saute vegetables. 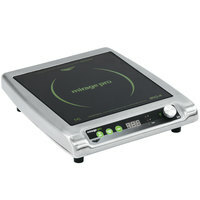 Best induction cooker I have ever had, I have gone through dozens. Last one i used was Waring which was good but not even close the Vollrath. The temperature control is extremely precise. So precise I have used it for sous vide proteins! Two things I wouldn't of thought of that I like is the dial temp control is very fast to use and the best is unit is very, very quit in operation AND NO BEEPING SOUND WHEN YOU CHANGE SETTINGS! 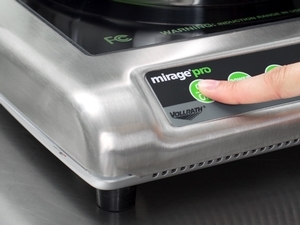 The Vollrath mirage pro is an exceptional cooking tool. The 100 levels of power and 5 degree increments of temperature control allow me to cook with the sort of precision that an electric (or even gas) burner just can't come close to. It is sturdy, works well, and boils water wonderfully quickly. A few uses, and I am already spoiled. 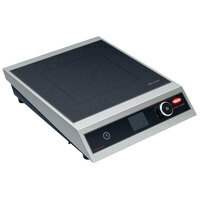 REALLY love the Vollrath Induction Cooker! Wow, I wish I had known about induction cooking long ago. Far and away better than gas, in my opinion. The unit stays cool, as well as the handles of the cookware being used. The body of a saucepan will be hot to the touch, but it's not very likely that one would be touching that, anyway! The only negative that I can see for some would be that induction only works with certain kinds of cookware. But, to me, it's worth making the change! 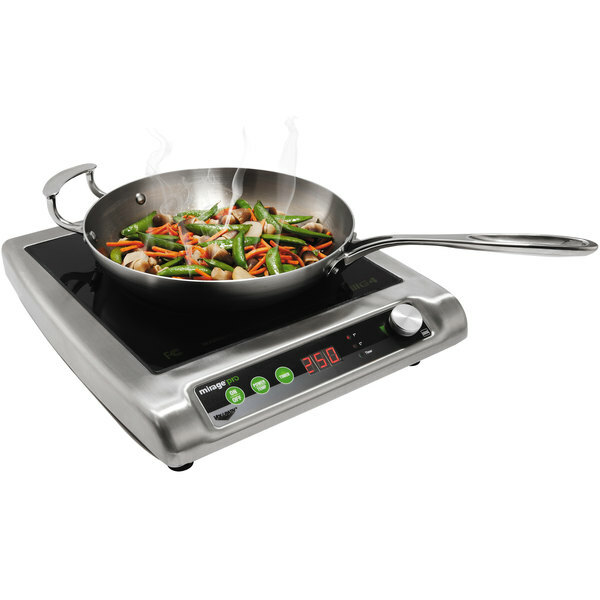 This induction cooker is perfect for an extra burner with all the advantages that induction provides. I created steam in a 40 quart lobster pot in minutes. Maintains a slow simmer perfectly for hours. Response to changes in heat levels is immediate, both up and down. Don't want to be without one. 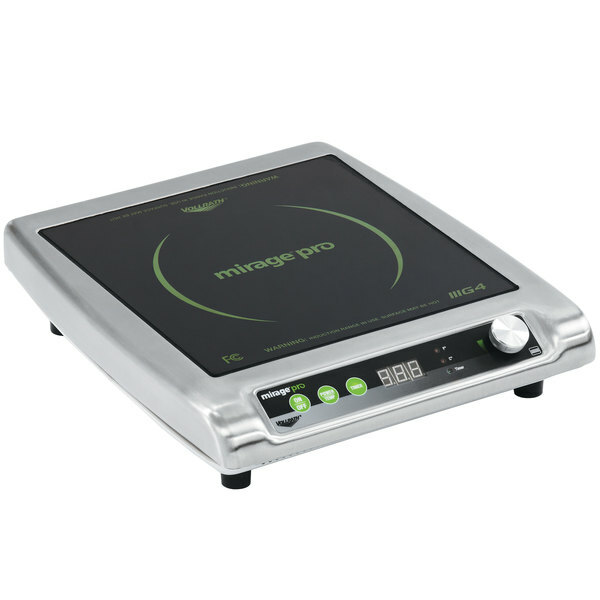 I purchased the Vollrath Mirage Pro 59500P and am very satisfied with the culinary results that I have been able to achieve with this remarkable device. It is a very powerful cooking device and cooks very fast. Caution should be exercised in cooking at maximum 100 percent output as at this level some cookware can sustain damage. Blue discoloration in the bottom of a stainless steel pan is an indicator that you had the power at too high a level for this particular piece of cookware. Proceed gradually and do some testing to understand the limits of this incredible piece of technology. These are great induction burners and Vollrath customer service is great. I thought there was an issue with the display at one time but it turned out to be fine and Vollrath was ready to replace the unit if needed. 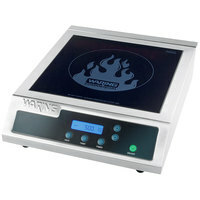 What a great alternative to the gas/butane power countertop burners! Great for keeping items on a low and steady heat! Nice for tempering chocolate! Nice price!!! This is much better than the regular home units. It is particularly good for tempering chocolate and boiling pasta. It boils a pot of water in half the time as my 12000 btu gas burner. Small pans sometimes have trouble with it, but that is a minor issue. 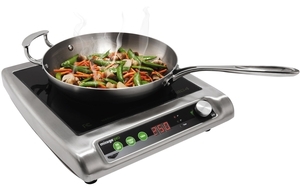 Love this induction stove. This is my second induction type counter stove. It heats very fast and cools pretty quickly as well. I like that it only stays on when stainless steel is on it, and shuts off by itself. I make soups, sandwiches, pretty much all of my savory menu on it. This is my first introduction to induction cooking and couldn't be more satisfied. After reading reviews I knew that I would be unsatisfied with others, either limited adjustments or quality issues. Saved a lot of money over the top end Viking burner-take that! After I moved to my new condo loft with all wonderful windows(24) and unfortunately solar gain, additional heat from the electric stove wasn't very unappealing to me. Also I'm a gas user so this is more than a substitute. But my stainless steel cookware were not all appropriate - had to purchase some to make up. Strange, won't work w/my 1 quart Le Creuset but ok with the 4 1/2 soup pot. If there is an improvement, I'd say include a timer feature, otherwise...good quality, looks good too! Like the dial for instant dial down/up! I bought this burner for cooking outdoors while RVing. I read reviews of less expensive units having small or uneven hot areas and not being adjustable enough. After more research I spent twice as much as I planned and couldn't be happier. This thing is amazing! 100 to 400 degrees in 10 degree increments almost instantly. 12 inch fry pan was heated perfectly evenly. Build quality was excellent. I'm so happy with this burner I'm using it on my counter at home instead of my old ceramic topped range. I can't imagine how to improve this product. It's perfect and well worth the money. Quiet and powerful. 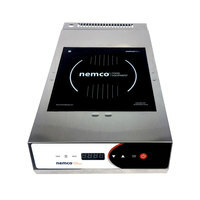 This unit replaced a less expensive commonly found unit when shopping for induction cooktops. This one cooks evenly using a 12 inch griddle the other unit had trouble with a 10 inch griddle. Love the control you get with the power dial. Heats pan up fast and doesn't heat up the kitchen. this item is a real wow. quality construction and innovative design. It's fast, responsive and totally adjustable. Other induction units have maybe 10 settings. This one allows you to set a temperature, or turn a dial and have 100 PRECISE settings as a percentage of power. 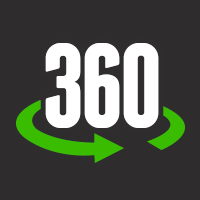 Fast, more responsive to changes in settings than a gas burner and totally accurate. It has immediately become my favorite cooking heat source. electric burners were hotter, gas more adjustable, this unit does both better faster AND it doesn't heat up the kitchen.